We are committed to the best in veterinary care for your beloved companion! Here at Tri-County Animal Hospital, we are strong advocates of proactive health care – that’s why our canine care is designed to provide compassionate, comprehensive veterinary care for your dog at every stage of life. From puppyhood through his or her senior years, we provide personalized wellness care and helpful pointers on home care that will keep your dog healthy, happy, and protected against preventable illnesses and health conditions. 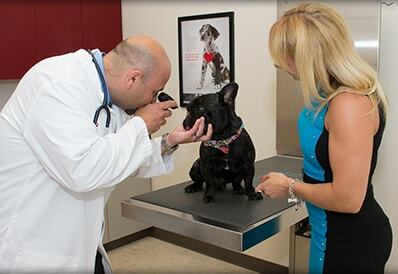 Our veterinarians recommend that we see your dog at least annually for a comprehensive wellness exam. It is important that we diagnose any health conditions your dog may be facing early when treatment options are most effective. Never Give Medication to a Dog Unless It Was Prescribed By A Veterinarian. Most Importantly, NEVER GIVE medications without direct approval from your veterinarian. Many products that are deemed safe for humans are extremely toxic to pets and can prove to be fatal. If in doubt — Call Our Office first and ask - 973-831-2426. Handling a Dog That "Runs Off"